The Girl in Yellow Foundation formed as a response to each member’s desire to use education as a platform to invoke positive change within the rural communities of India. Our call to action came in an instant, traveling to India on a university study tour which focused on women’s leadership, education, and social entrepreneurship. Just outside of Ahmedabad, India our group spent two days with SEWA, the Self Employed Women’s Association. Visiting a village that received from us a donation of USD $2,000 to help sustain a local thread store for area garment workers, we were invited to meet a group of women to learn more about their lives as mothers, wives, and earners. Among the group was a young girl, wearing a yellow dress answering questions about her life as a student and a garment worker. She indicated that she was no longer in school, had planned to attend college, but her family could not afford to send her and therefore she would have to work to support her family. Through her words, she appeared complacent, accepting of her fate. Looking in to her eyes, there was an apparent sadness, and a realization that she would not be able to live life to her potential. For several days I woke up with her on my mind, and went to sleep wondering how this girl could go back to school and reach her goals. Finally, on a long bus trip from Ahmedabad to Udaipur, I approached my professor to see if it was possible to locate the girl, to find out if there was any way she could attend school. If money was the only thing holding her and her family back from fulfilling her potential, I suggested I would pay for her expenses out of my own pocket so she could finish school. Over the next couple of months, as we awaited word on the status of the "girl in the yellow dress", I began to realize if I had the power to help one girl, I could help more. If I could somehow reach others with my story, educate them on the needs of rural Indian girls and the social benefits and empowerment of education, and explain how just a little money can go a long way for these girls, we could start a movement. Thus, the Girl in Yellow Foundation was born. That you are reading this story is a testament of our teams’ dedication to this cause. We are using education as a platform for social change, and hope you'll join us. Perched high above the inhabitants of India in an air-conditioned tour coach, I acquired a unique perspective to which few are privileged. The beautiful landscape and rich culture contrasts with crumbling infrastructure and massive poverty. Touring village after village, meeting numerous leaders advocating for human rights, and more specifically for women and children, something awoke inside of me. As one of only two males on a trip to study women’s leadership and social entrepreneurship, I expected to be challenged to keep an open mind. What I didn’t expect, however, was that by the end of the trip, India would have me in her grip, refuse to let go, and in exchange for my experience, instill a drive in me that would demand a call to action. That call to action came in an instant for many of the students on that trip. By witnessing first-hand how many of the world’s people live, often on less than a dollar per day, I came to realize that I had within me the power to change lives and to be the leader that I always knew I could be, but until now failed to understand how. 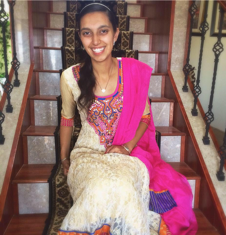 Purvi was born in India and moved to California in middle school. 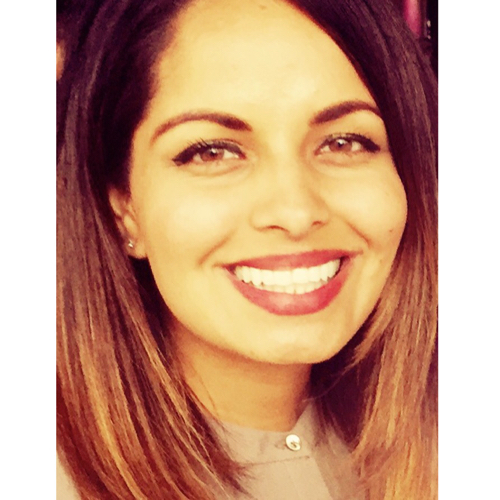 After graduating from University of California, Berkeley with a degree in Business Administration, she joined Deloitte & Touche, San Francisco, where she audited public and private firms in the financial services, healthcare and not-for-profit sectors. Subsequently she spent 17 years in the investment management industry as CFO of a pan-Asia private equity firm (H&Q Asia Pacific), a Silicon Valley early-stage venture capital firm (Allegis Capital) as well as a public equities firm in Seattle (Taiyo Pacific) that she helped through its SEC registration process. At H&Q Asia Pacific, Purvi was CFO of a 10-country operation after co- leading the spinout of her firm from JP Morgan Chase and its subsequent expansion into Japan, Korea, India and further growth in China. In addition to helping H&Q Asia Pacific raise over $1.5 billion, Purvi oversaw the firm’s public relations and investor relations activities as well as exit strategy for its 100+ portfolio companies. Purvi has served as an investment committee member of H&Q Asia Pacific’s India fund and board member of some of its US and Asian portfolio companies in the technology and non-technology sectors. 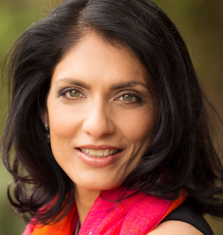 Purvi has also served as CFO of a healthcare informatics start-up in San Francisco where she helped the founder raise a $15M Series A round and advised the company on its subsequent sale to IMS. 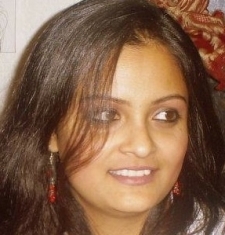 In 2009, Purvi was recognized as one of 100 most influential women in Silicon Valley by the San Jose Business Journal. When I was 9 years old I had the opportunity to visit my mother's home town. During this trip I met many cousins and young girls whose only desire was to go to school; unfortunately due to their family circumstances they couldn't. Knowing that the only difference between me and these girls was that I was born in the US instilled in me a deep desire to get a college degree and put myself in a situation where I ccould help make a difference one day. I went back again before attending college and that fueled my passion even more as my cousins/friends were now married with kids still telling me how they wished they could have gone to school instead. 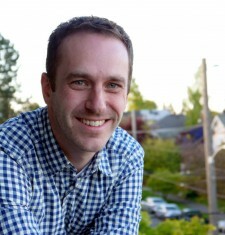 I have since graduated from Western Washington University and work at Amazon on the Global Expansion team. I am fully committed to helping provide scholarships for as many girls as possible. Jet has a mind for problem-solving, a passion for people, and a mission to leave the world a better place. Born in rural India, he’s seen firsthand the impact that illiteracy amongst women has on their communities and believes it is up to us to make a difference. Through Girl in Yellow, Jet is helping take action to stop the cycle of deprivation that is prolific throughout India. He attended the University of Washington, as well as the National University of Singapore, and currently works as a Management Consultant at PwC. 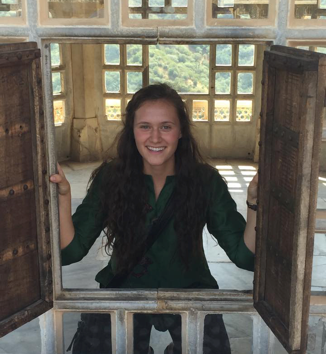 While studying women’s leadership and social entrepreneurship immersed in rich Indian culture this past summer, I gained a greater understanding of the social realities of India and an admiration for its people. Throughout my journey, I knew in the back of my mind that I wanted to find a way to alleviate some of the social realities faced in India, yet could not put my finger on what would be the best way to do so. I found that a common thread among many of my experiences was the importance and power of education. More specifically, my eyes were opened to the positive social changes that can be brought to India merely through educating young women. Because education was never something that I had given much thought to prior to my travels, this idea inspired me. Once back in Seattle, my team and I have founded this project as one that fulfills our desire to give back to India in what we believe is the most sustainable way possible. By working to raise awareness among our own peers at home and simultaneously being able to provide education for young women in India, we hope to create a catalyst for change. Co-founding the Girl in Yellow Foundation is perfectly aligned to my personal interests and skills. I am passionate about social change and helping others. This project also aligns with my academic and long-term goals in that I am a student at the Michael G. Foster School of Business who hopes to use my business knowledge and skills to continue to create social change both locally and globally. I could not be more enthusiastic to embark on this venture with the rest of the GIY team as we work toward our shared goal of providing education to young women in rural India, much like those that we had the opportunity to meet over our own journey. I’m a recent graduate of the University of Washington’s Foster School of Business. I majored in Business Administration with a focus on Operations and Supply Chain Management, and I will be graduating with a Certificate of International Studies in Business (CISB). As part of CISB, I am currently spending four months in India and Nepal, volunteering and traveling, as well as practicing Hindi. When I return, I will be joining Hitachi Consulting in Seattle as a full-time consultant. I joined the Girl in Yellow project because I have seen how much an education can help change a life, especially in India. 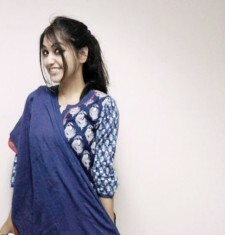 I am half-Indian and have a deep connection to the country as well as the cause of women’s empowerment. I had the opportunity to shadow members of the Self Employed Women’s Association Bank in Ahmedabad, Gujarat in 2009, and I was able to meet some of the rural women who had received micro loans from the organization. They were able to achieve so much from the program, and with a college education provided by scholarships from Girl in Yellow, I am confident and excited that these women will be able to achieve even more. In the summer of 2012, my feet first touched the grounds of New Dehli, India. I observed my surroundings and saw the beauty of the country. I fully injected myself into the land as I tasted its foods, smelled its air, and talked to its people. Although no words can capture India’s internal beauty; it also has a dark side. Due to India’s poverty, there are many early childhood academic institutions that lack resources, and many families that cannot support their child to go to college. This creates an entrapment—a physical and psychological state that paralyzes an individual, making it impossible for them to reach their fullest academic potential. I personally saw this entrapment when studying abroad in India, and now I want to make a difference! 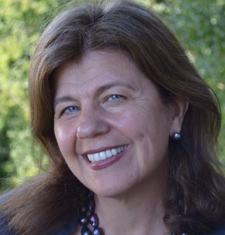 As a student in the Political Science and Human Rights Departments of the University of Washington I had been aware of the inequalities facing women all around the world. However, not until I found Girl in Yellow did I feel that I could make an impact. Education has always been on the forefront of my mind, and my path through college has been leading me towards my anticipative career goal of working for a non-profit. I first started interacting with Girl in Yellow as a volunteer and through my time I worked my way up to being a member of this wonderful team. Girl in Yellow has provided me an opportunity not only to explore my own career goals but also to work with like-minded people who want to help others. The principles that this foundations stands on are identical to my own and I hope that my education partnered with this organization can incite real change in the lives of young girls. 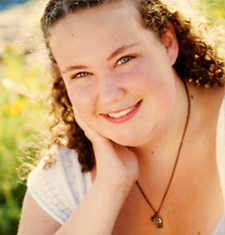 I am a sophomore at UW, studying Early Childhood Development & Family Studies and Psychology. I am from Omak, Washington and I am planning to minor in Diversity Studies. I am passionate about traveling, making cakes, and education. With a goal to be a health educator in women’s health, I am majoring in Public Health and Medical Anthropology at the University of Washington. 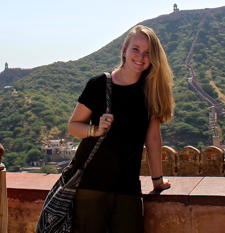 After visiting India on study abroad I was exposed to the power of education. 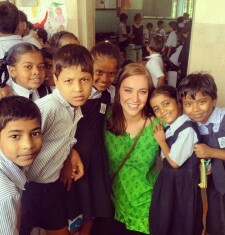 Education empowers people, especially women, and I saw the effects of this while in India. I realized that we take so many things for granted in the west. With all of the privileges that we have, we also have the responsibility to fight for those that are less fortunate. Education is the key to solving so many of the worlds problems, specifically educating girls. I want to make a difference in the world, and Girl in Yellow allows me to do that. Providing girls with an education that will set them up for a better future is an amazing thing to be a part of. 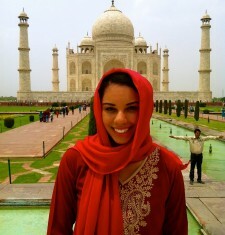 This past summer I studied abroad in India and fell in love with the culture and traditions of the country. But I felt like an outsider. Here I was seeing poverty and lack of educational opportunities while I was personally there on a college trip and staying in beautiful hotels. A day after returning home I sat in my room crying wondering why I had been given all these opportunities that the young girls I met in the villages were not offered. Education in India is a privilege and not a right, but I believe that through the right forces this can be changed. I joined Girl in Yellow to try to make a difference in the lives of young girls half a world away. In Spring of 2015, I volunteered my time to go to India and teach English in the slums of Dharamsala - a city far up north. There, I witnessed first-hand the entrapment of not having a chance to an education. One thing that stuck out the most was the fact that these kids wanted to learn. They projected such interest and an immense desire for education. It made me realize that education is a gift; one that many take for granted and one that many wish to have. I joined Girl in Yellow to help provide opportunities for those in need. I want to do my part in providing an education to children out there who could hold the answers to all problems, but we will never know unless we give them a chance. 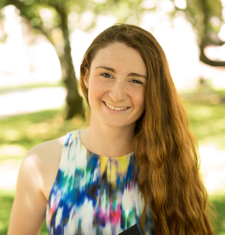 Rachel is a dedicated skier, student and activist born and raised in the Pacific Northwest. 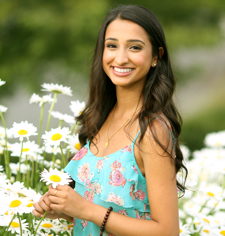 While earning her undergraduate degree at the University of Washington’s Foster School of Business, she was given the opportunity to go to India, studying women’s leadership and social entrepreneurship. 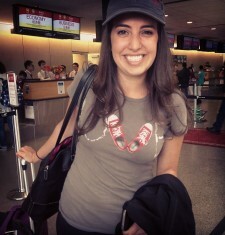 During her travels, Rachel further explored her passion for empowering women, and gained an appreciation for the obstacles facing many women in the Global South. In addition to continuing her education through UW’s Master of Professional Accounting program, she is also pursuing a career as a professional big mountain and backcountry skier. 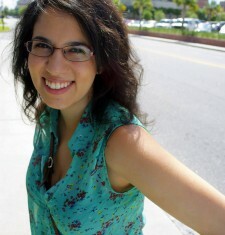 Rachel hopes to combine her passions and create positive structural social change through her work with Girl in Yellow. 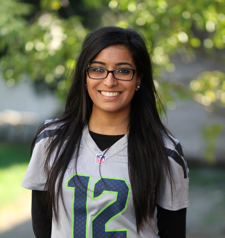 My major is Business Administration with a focus in finance at the UW Foster School of Business. I was blessed with the opportunity to attended the Half the Sky exploration seminar this past summer, 2015. After spending a month in India I fell in love with the people and culture, but I also became aware of the major issues facing the country today, including education. During our trip, we were able to visit several schools in India and see first-hand the shortage of opportunities for children to get an education. This was an eye opening experience for me because I had always thought of education as a right and had taken it for granted my entire life. A quote on the wall in one of the schools stated, “Knowledge is Power. Power is Freedom.” Education in India is a path towards freedom and can completely change not only the course of the student’s life, but their entire family as well. 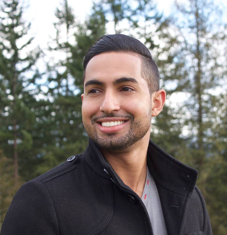 After returning back to the United States I quickly felt the desire to find a way to stay connected and help make a difference in the education of young children in India. Fortunately, a friend told me about the Girl in Yellow Foundation and the money they were fundraising to support young girl’s education. I could not be more excited to join this amazing organization and begin a journey towards truly impacting the lives of several young girls. 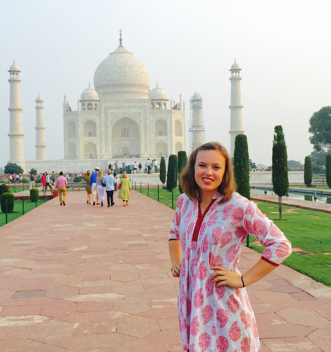 I travelled around India in September of 2015 with 23 other incredible women. Studying women's leadership and social entrepreneurship, we spent time learning about the social issues within India and the ways women are rising to challenge them. We met with a broad range of women leaders, but all had one thing in common: access to education. On the wall of a school in Mumbai were words that said "Knowledge is Power. Power is Freedom." Everyone deserves the freedom that education provides, that is why I decided to join Girl in Yellow upon returning from India. As a senior studying Marketing in the Michael G. Foster School of Business, I hope to contribute to Girl in Yellow's success for years to come. I was born among the privileged higher class and caste in Urban India. As a part of this society I never saw or realized the actual picture of women education that is prevailing in Indian society just in our backyard. 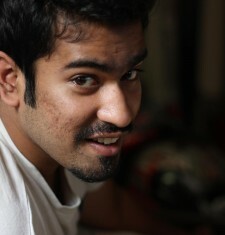 I got the best education from there and then also got an opportunity to study in graduate school in the United States. After being a part of a different culture and society, I realized the real value of education and why it is so important that women must be educated, which is taken for granted in our “privileged” society. I understood the disparity that still exists not only among rural and urban India but also among the different classes of society. I was aware of these situations but never felt that urge to work on them. But life changes. With some hard personal experiences of life, I thought that it is high time that I should think about “my people” and do the best that I can, for the. There was strong need felt to close these gaps. I knew founder Kurt Ricketts from his India tour during 2013 and also knew about the whereabouts of GIY foundation. I decided to join this foundation and become a part of their wonderful activities. As a graduate student of University of Wisconsin- Milwaukee, currently I am trying to spread GIY from Washington to Wisconsin. Girl in Yellow Foundation Copyright © 2017 All Rights Reserved.